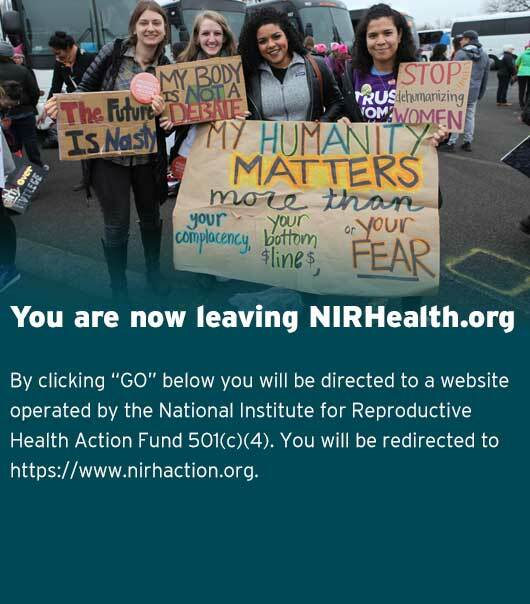 The National Institute for Reproductive Health (NIRH) works to increase access to reproductive health care and secure reproductive freedom by changing public policy, galvanizing public support, and normalizing women’s decisions to have abortions and use contraception. The National Institute for Reproductive Health Action Fund, with associated PAC’s and IEC, conducts nonpartisan advocacy and electoral engagement to advance reproductive health, rights and justice in states and cities across the country. Reporting to the President, the Senior Executive Assistant and Special Projects Manager is a mid-level position that will play an integral role in ensuring the effectiveness and productivity of the Executive Office, by overseeing and providing outstanding executive support and managing the overall administration of both the President and Executive Office, as well as Special Projects for the President. Additionally, the Senior Executive Assistant and Special Projects Manager will provide overall management support to the boards of directors. This position is a part of the management team and s/he will represent the organizations, the President and the Executive Office in daily interactions with external and internal constituents and must operate on many levels with efficiency, enthusiasm and professionalism. Coordinate carefully and participate in relationship mapping of the President’s meetings and interactions with key internal and external constituencies and allies, often in collaboration with other departments (e.g., partner organizations through Policy & Strategic Partnerships; major donors and foundations through Development; elected officials through Political and Government Affairs; reporters through Communications) and tee up communications as necessary to support ongoing relationship building. Ensure the President is appropriately briefed and otherwise fully prepared with sufficient time in advance of meetings, conference calls, etc. Event support to the President, including researching and preparing briefing information in advance and organizing schedules of multiple participants. Staffing the President, as needed. Maintain a calendar including dates of all board meetings, Chairs meetings, board committee meetings, etc. Email a cover letter, resume and salary requirements to humanresources@nirhealth.org with “Senior Executive Assistant and Special Projects Manager” in the subject line. Applications will be reviewed on a rolling basis. The National Institute for Reproductive Health and NIRH Action Fund is an equal opportunity employer. NIRH and NIRH Action Fund strives to build and support an equitable work community that attracts, develops, and retains exceptional people. As a member of the reproductive freedom movement, NIRH aims to foster leadership and raise the voices of historically marginalized people, including but not limited to Black people and people of color, indigenous/native peoples, LGBTQ and gender non-conforming people, disabled/differently abled people, immigrants, and low-income people. We strongly encourage candidates of these and other diverse backgrounds to apply. NIRH and NIRH Action Fund staff and board have committed to racial equity, and as such have been engaged in a multi-year process to adopt a racial equity lens across the organization. As a result, this person will come into a team that’s currently engaged in shifting its organizational framework.